At a time when many Americans are struggling to access economic opportunity and many of the country’s infrastructure assets are at the end of their useful life, infrastructure jobs offer considerable promise.1 Workers in these jobs earn competitive wages and face lower educational barriers to entry.2 They develop extensive knowledge and transferable skills that cut across multiple disciplines.3 And the coming wave of retirements and other employment shifts in the infrastructure sector means prospective workers can find long-term careers. The country’s water infrastructure is emblematic of this significant opportunity. From pipes and pumps to rivers and lakes, water systems are in urgent need of repair, maintenance, and restoration. At the same time, water workers are in relatively short supply, both for public utilities and a wide range of other employers. To seize this infrastructure and economic opportunity, the report provides a benchmark of the nation’s 1.7 million water workers and lays out a set of actionable strategies–a new water workforce playbook–that local, state, and national leaders should use in future hiring, training, and retention efforts. In the process, the report emphasizes that modernizing the country’s water systems and approaches to workforce development offers scalable lessons for other infrastructure sectors. Employed across 212 different occupations, including plumbers, electricians, and instrument technicians, water workers embody many of the skilled trades. However, there are tens of thousands of other workers involved in administration, finance, and management roles. 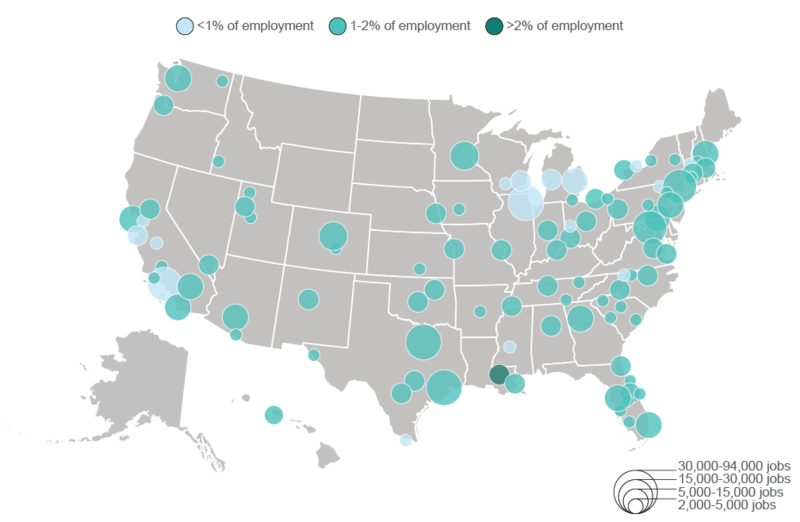 Perhaps most importantly, water workers are not isolated to only a few areas across the country, but are employed everywhere, speaking to their enormous geographic reach; they consistently represent 1 to 2 percent of total employment in the country’s metro areas and rural areas. 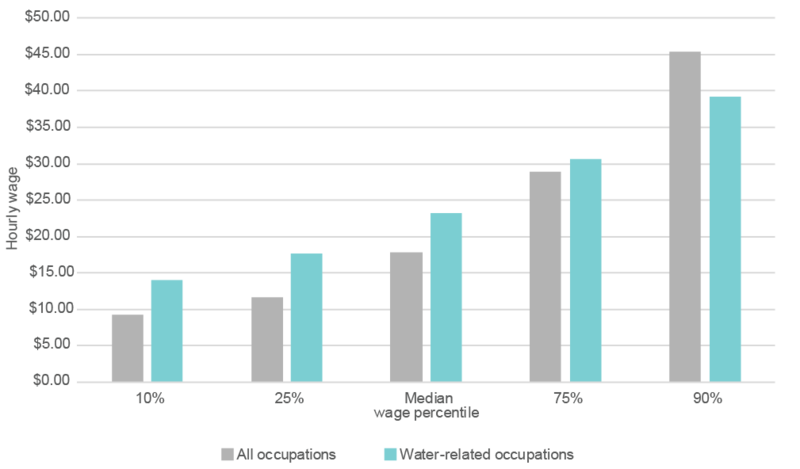 Thousands of water workers are aging and expected to retire from their positions in coming years, leading to a huge gap to fill for utilities and other water employers. 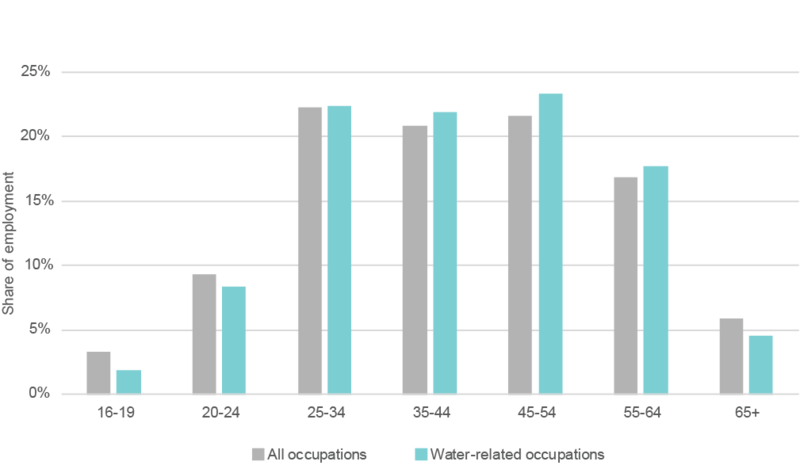 Some water occupations are significantly older than the national median (42.2 years old), including water treatment operators (46.4 years old). 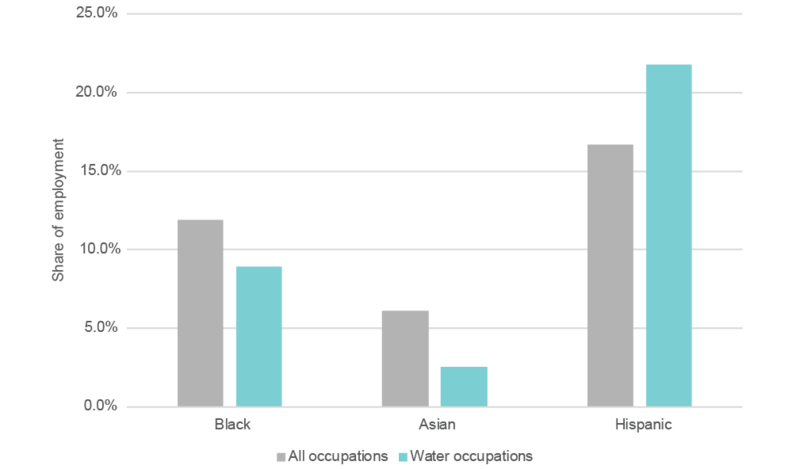 Water workers are predominantly male as well, particularly among positions in the skilled trades. 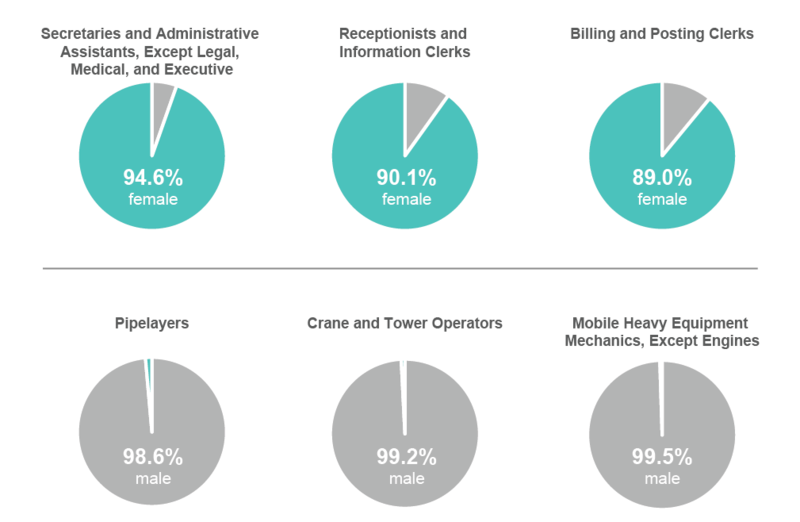 Although women make up 46.8 percent of workers across all occupations nationally, they account for only 14.9 percent of the water workforce. This dashboard provides data on the water workforce in the country’s 100 largest metro areas, including employment totals, wages, and occupations. See the downloads section at the top of the page for additional data. Joseph Kane and Robert Puentes, “Beyond Shovel-Ready: The Extent and Impact of U.S. Infrastructure Jobs.” Brookings, 2014). Joseph Kane and Robert Puentes, “Expanding Opportunity through Infrastructure Jobs” (Brookings, May 7, 2015). Joseph Kane and Adie Tomer, “Infrastructure Skills: Knowledge, Tools, and Training to Increase Opportunity” (Brookings, 2016). Joseph Kane, “Investing in water infrastructure and workers: Examining the Bay Area’s regional approach” (Brookings (blog). March 7, 2018). Joseph Kane, “Looking to hire: Louisville’s efforts to expand and diversify its water workforce” (Brookings (blog). April 3, 2018). Joseph Kane, “The water workforce opportunity: How Camden is driving collaborative solutions around its infrastructure and economy” (Brookings (blog). May 14, 2018).